Gold with its traditional connotations of being the material of champions, has taken second place in my design palette this year. 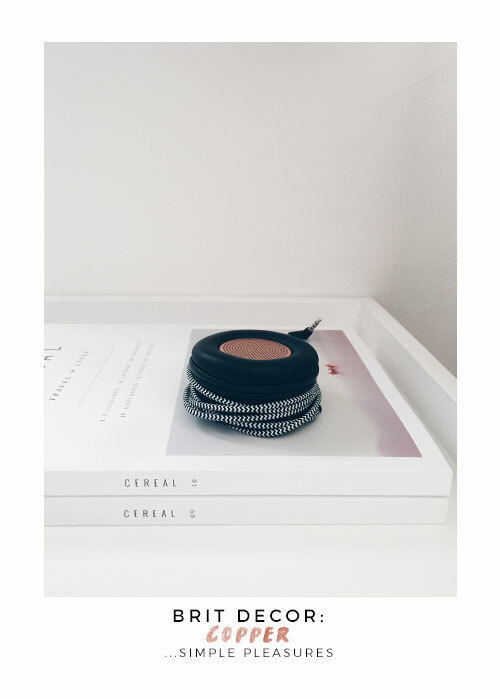 Albeit a very closely run race, I've most definitely been coveting copper as my favourite and winning metallic of 2015. 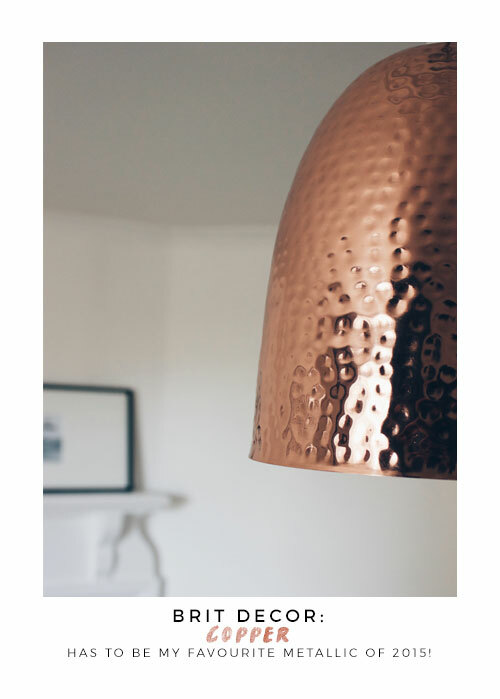 No surprise then that I have recently been scouring the shops for a copper pendant light for our living room at the cottage, until eventually I found this striking beaten copper shade from online retailer, Ocado - to my surprise! 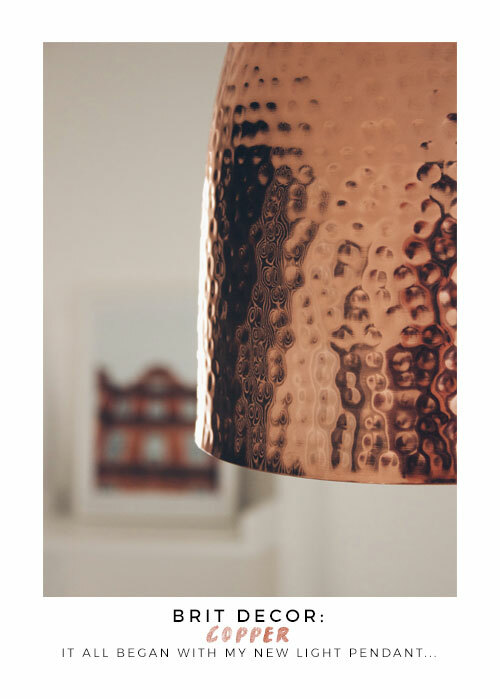 I love the fiery warm tones emitted by copper, which like gold, takes on a luxurious reflective light-emitting quality during these dark Winter evenings here in the UK, particularly magical when placed next to dancing candlelight. 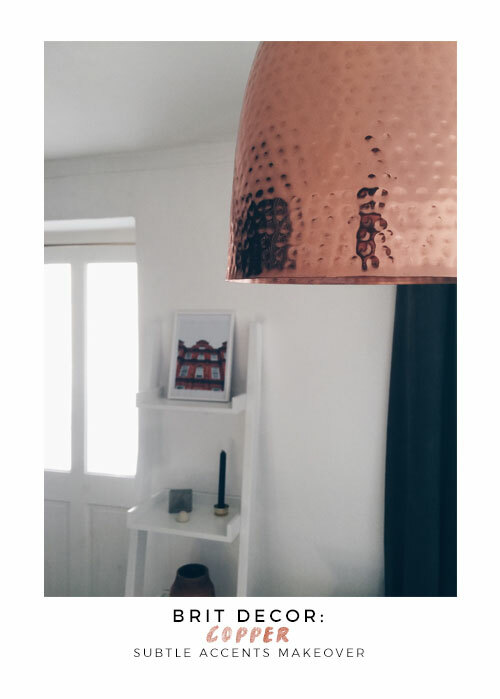 I decided to draft in some copper-toned accents to compliment our new pendant and to help usher in some warmth. 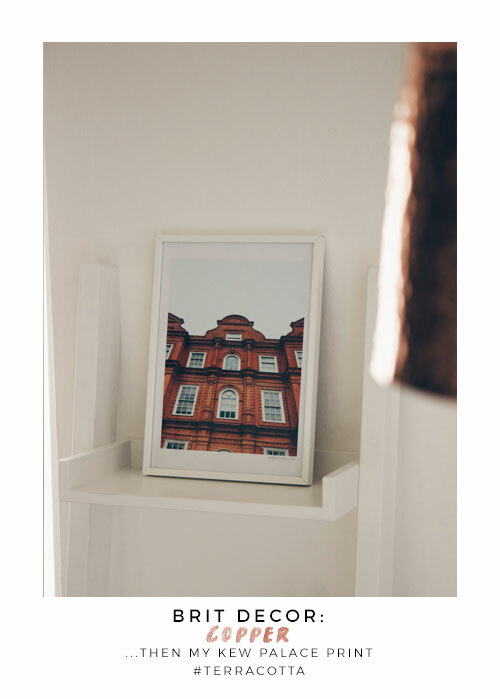 I began by printing off a photo I took of the dashingly rich terracotta-coloured Kew Palace, to introduce a graphic and more personal element. 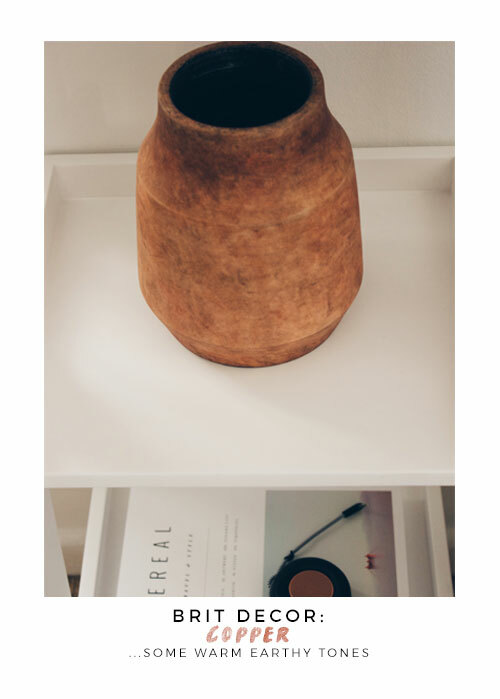 I then added some more select warm and earthy tones, including my favourite clay vase (see 'below'), and as runner-up, gold got a look-in too with a tiny candle holder and the luxe-detailing on my Gatsby linen cushion. 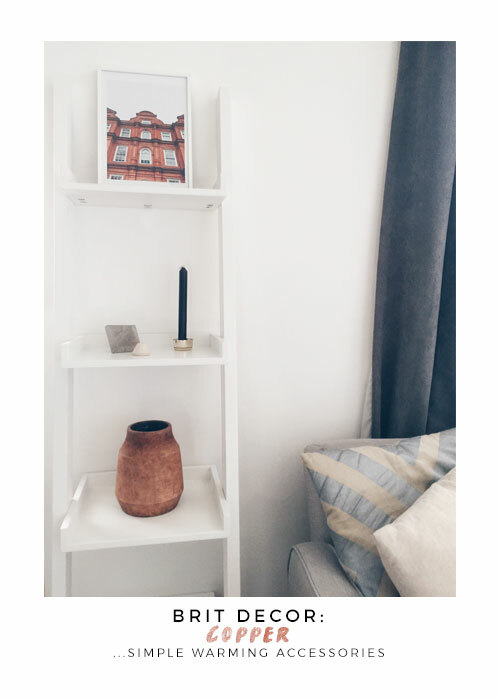 So with just a few simple styling elements I was able to create a mini-copper makeover - don't you just love interior styling?